Wow, that is really gorgeous!! Great shots...I looked at others too! Thank you for stopping by my blog, and the nice comment. Great pic, Love the folks heading in all directions! 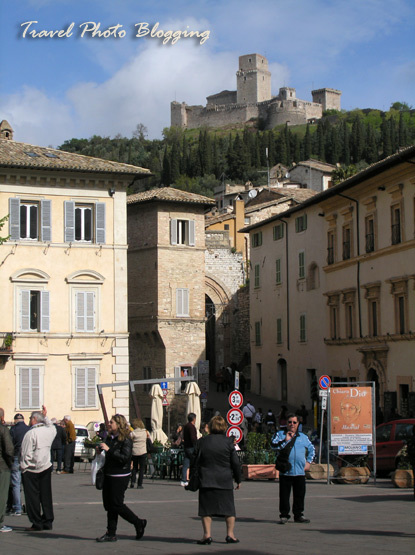 Assisi looks beautiful. What a great perspective! I love the way the castle is perched on the hill above the street!